The FYC is operated and funded entirely through it’s membership and membership activites. Our members make up the board and the board oversees the day to day operations of the club and facilities. At least twice per year the membership meets at a general meeting to provide the board with direction and oversight. All maintenance, upkeep and chores at the club are undertaken by our membership. Usually these take the form of Work Parties. All members are expected to participate in Work Parties or to otherwise help in the running of the club. Many hands make light work! We encourage our members to help out in whatever capacity that they can. Some people are good with carpentry tools and others are better with calculators and spreadsheets. It all needs to get done. 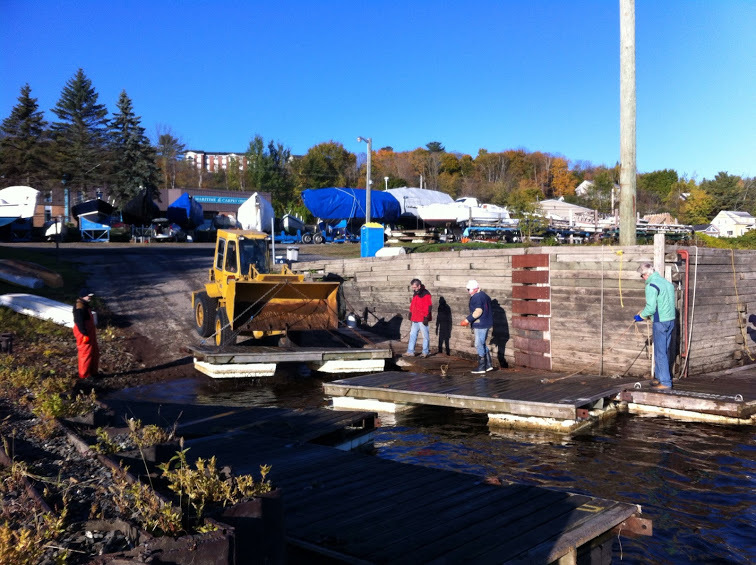 The FYC members use “lift groups” to coordinate launching and hauling of boats. This isn’t a club activity per se but the club will help new members to get in touch with a “lift captain” who will bring them into their group for launching and hauling. All lift activities are also performed by the members and all are expected to help and share the cost of the lifts. Most lift groups will rent the services of a crane and/or boom truck to facilitate the lift. This is coordinated and paid for by the members of the lift group.